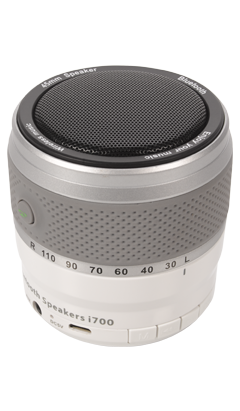 Designed in small and portable housing, you can bring the speaker anywhere and anytime. It's lightweight and equipped with driver which delivers high quality crystal clear sound. With the in-built 300mAh battery, the speaker can play music for up to 4 hours of playback time with a single charge.